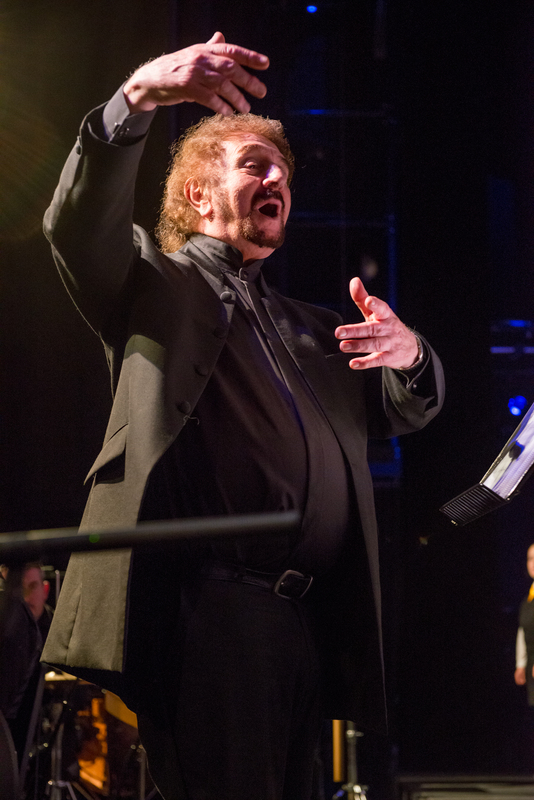 A choral conductor who has been conducting a children’s choir since the shadow years of World War II will this week lead his youth singers with pride as they reach the Semi-Finals of ITV’s Britain’s Got Talent. Wales’ Angelicus Celtis comprise of everyday schoolgirls aged 12 and up from the ranks of the Hywel Girls’ Choir led by conductor John Hywel Williams who has nurtured over 8,000 choristers since founding his children’s choir in 1948. Angelicus Celtis gave an emotional first performance on Britain’s Got Talent where their unique rendition of Nessun Dorma got the 2,500 audience and the four judges immediately on their feet. As Wales’ only act through to the Semi-Finals, Angelicus Celtis’ performance was an emotional one in many ways but particularly for their conductor who created the idea of Angelicus Celtis with his wife Jean and son Jeremy but his wife Jean was killed in a car crash and never heard her beloved Angelicus choristers sing. John and Jean had been leading children’s choirs together in the community as husband and wife for over 50 years together and the whole family was excited with the idea of forming Angelicus Celtis. Not long afterwards and before the birth of Angelicus Celtis, John and Jean had just given a VE Day Remembrance Concert for veterans with their Hywel Choirs in their home town of Llanelli. Having just enjoyed a standing ovation finale, John and Jean left the concert stage but within feet of the venue they were involved in car crash. John was badly injured and Jean was sadly killed. Despite his ongoing injuries, John fought back to be there for his choristers and make Angelicus happen. Sadly, Jean never heard her beloved Angelicus choristers perform. Despite his ongoing injuries, John Hywel Williams has striven to make Angelicus a success. There are no auditions for the choristers which come from the Hywel Girls’ Choir and are just everyday schoolgirls in every sense of the word. They were selected on the basis of their commitment and hard work and willingness to learn. As they prepare for the Semi-Finals, many of the girls are juggling school work and facing school exams. 5,500+ rehearsals with his choristers! John Hywel met his wife Jean through his choir in the mid-1950s when he hired a new pianist and she got the position. A romance and marriage subsequently followed starting a 50 year musical partnership which would give thousands of children life changing opportunities but a partnership which sadly and tragically ended just minutes after a final standing ovation. After performing Nessun Dorma on Britain’s Got Talent, the 17 young singers aged 12 and up were clearly in emotional shock as the 2,500 strong audience and the four judges immediately gave the schoolgirls a standing ovation. Since then, the group has been flooded with messages from home and abroad and are bowled over by the giant wave of thousands of messages they’ve received. The fate of Angelicus in the Live Semi-Finals will be decided by the viewing public. Angelicus Celtis can be seen in the Semi-Finals of ITV’s Britain’s Got Talent at 7.30pm on Thursday 1st June.